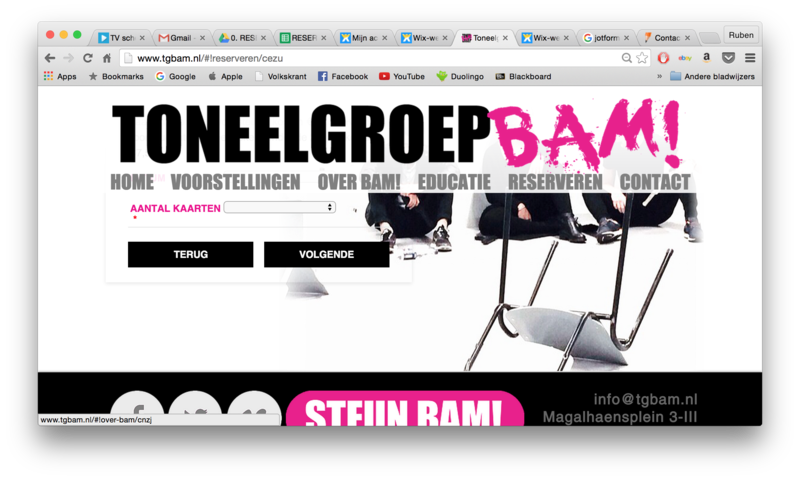 I have a Jotform embed via iFrame on my website: http://www.tgbam.nl/#!reserveren/cezu. 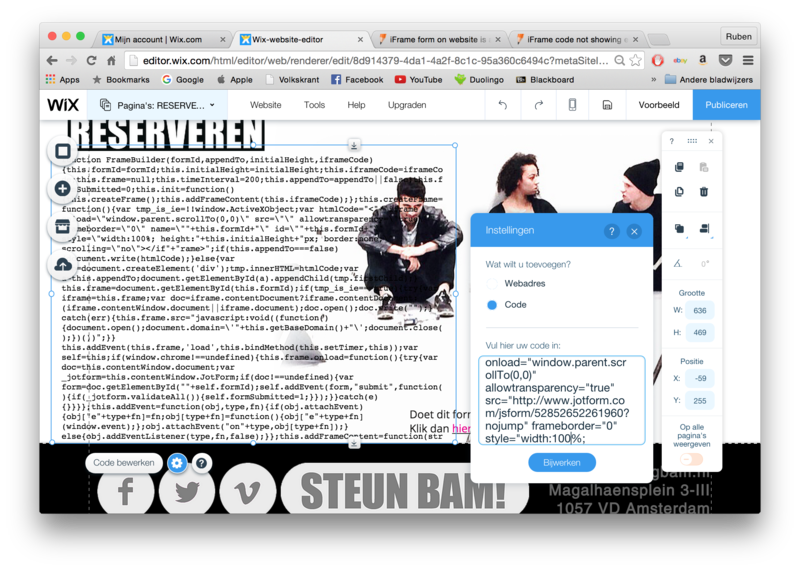 If i have my browser window in a small size (e.g. quarter of the screen) and i fill in the first page of the form, when i press the next button the next page of the form will automatically scroll to the bottom of the form. In my case this means that the questions on the top of the form are not visible, creating confusion and failure with customers who are trying to fill it in. What can i adjust in the code to remedy this? Can you change the IFrame code below? thanks for your response. Unfortunately it doesn't seem to be working. When i replace the src, it displays a whole mess of code instead of the form. I am sorry for confusion. 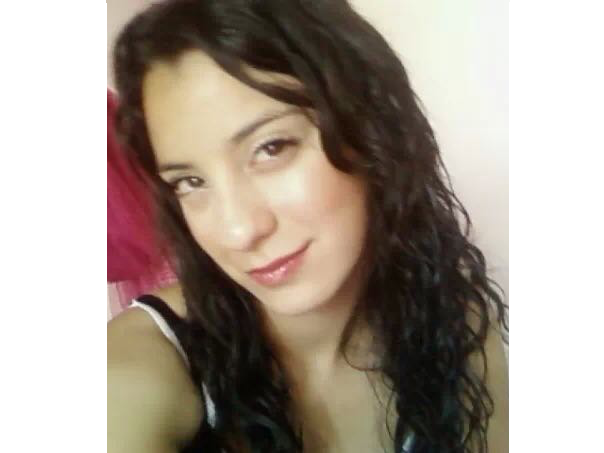 If it is not a solution for you I will workaround and inform you as soon as possible. Again it does not seem to do the trick. It still jumps to the bottom of the page when you press next. It only ads this button with an "up" arrow. 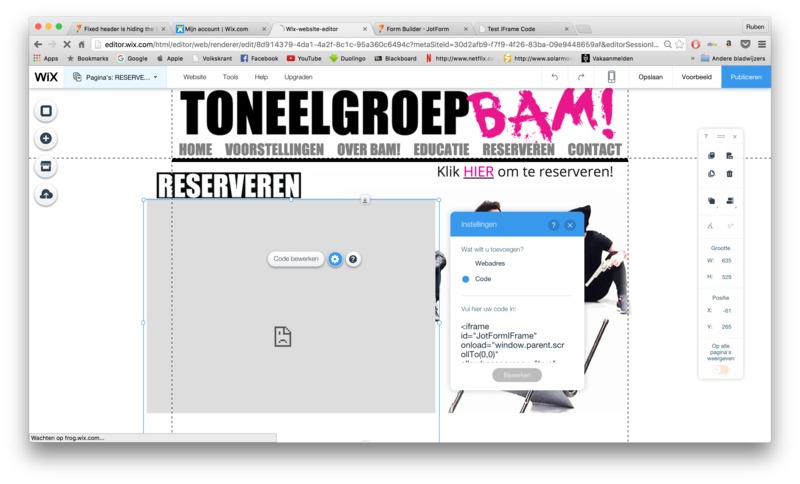 Funnily enough: when you click it it scrolls to the BOTTOM of the parent page. Something seems to be messed up. It thinks up is down or something. I can't seem to replicate the problem. 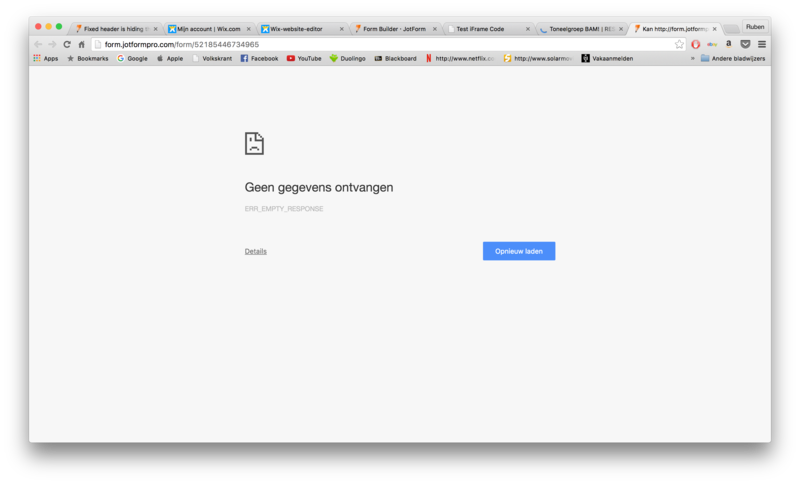 I presume you are using Wix.com as your website builder. I tried it in my end, I cloned your form and embedded it on my website, here it is: http://charmiequino.wix.com/jotformtestsite#!iframe/c1oha. However, the problem seems to be related to the fixed menu you have at the top, it actually covers almost 1/3 of the page. I believe the form jumps at the very top of the page, just like how my form works. If I am not mistaken, the page tries to position your form at the top so that it can easily be read from top to bottom, but because the page has an overlay menu, what happens is that it displays at the back of it. See if the above embed code works, if not, please let us know and we'll try to find a workaround, but I believe this is more related to the overlay menu. indeed that seems to be the problem! However the new script doesn't solve it. But isn't it possible to enter something other than '0,0' in the onload="window.parent.scrollTo(0,0)" part? Thereby making sure it jumps to just below the header? Before i didn't use the iFrame code, but just the standard embed. I didn't have this issue then. But there were some other issues with different browsers. Now it doesn't scroll it behind the header anymore. I am now stuck with 2 other problems. I will make further tests and will get back to you later. 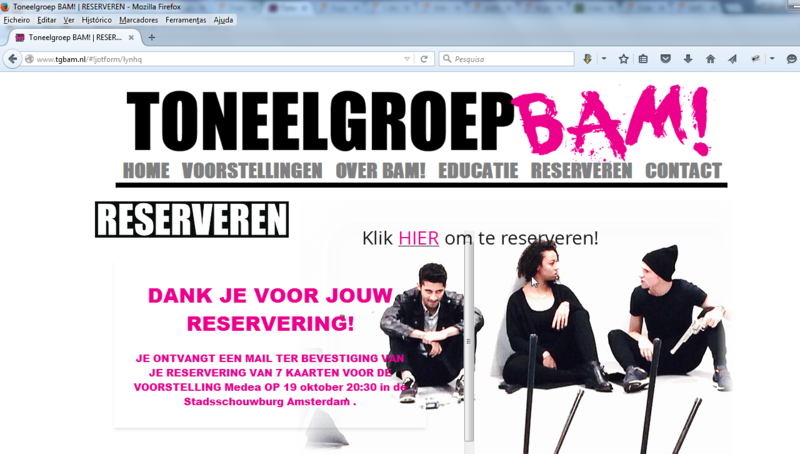 <iframe style="position:relative; top:190px;" id="JotFormIFrame" onload="window.parent.scrollTo(0,0)"
So I've reimplemented the iFrame in the original page (http://www.tgbam.nl/#!reserveren/cezu.) since it's now properly working again. Carina, your solution was promising. However, when I implemented it in my website it messed up the entire layout from the start: it shoved the start of the form 190 px BELOW the header (so there was a large blank space). Further more it also reduced the forms visibility. It looked like the margins of the form had somehow expanded dramatically. Upon further investigation and made a couple of test. Unfortunately, I couldn’t find any solution for this issue. I will forward this issue to our developers. We will inform you as soon as possible, when we solve the problem. You have caused multiple issues happening inthe js part of your form - very likely impacting some other functionality on your website. Please do note that this part: switch (args) is needed in order for the js code to be valid and not causing any errors on your page. Doing so, the scroll into view will not work as it was before. Once you do that, please do let us know and we will be happy to check and try a different approach, at this time the same can not be done because of the errors - so please do update us here once you do. Please do note that the specific issue here is that your header is big, which is why it is loaded like that and since you are using Wix there are other issues - mainly Wix creates an iframe around the jotforms iframe, so we might need to write a code that would go around this and to take into account the header size. 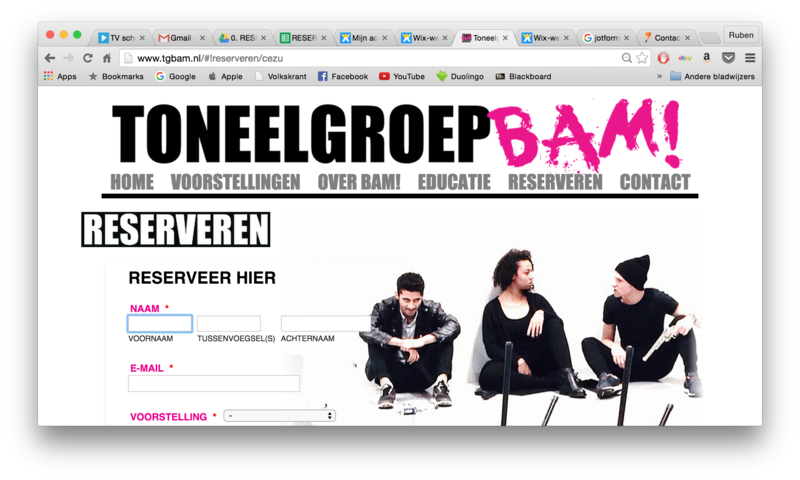 I've moved it again to http://www.tgbam.nl/#!jotform/lynhq because indeed: it seems to be malfunctioning again. However, this seems to be a Jotform problem now, because even when i copy de code exactly from the iFrame embed options. It gives an error. I have not yet been able to test your solution Ben, but I will as soon as this bug is fixed. 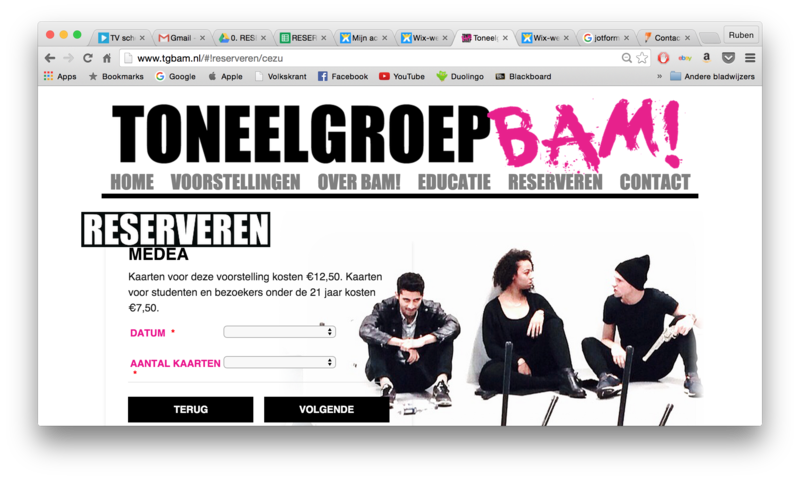 I've added a direct link to the form on http://www.tgbam.nl/#!reserveren/cezu so people can still fill it out. But this is also malfunctioning! I have tested both URLs and the forms seem to load fine on both. Could you kindly confirm if you are still facing the issues on your end. Thank you for the confirmation. Please do update us if the problem persists or went back. Please let us know if the problem still persists and let us know more details of the issue that now is happening.